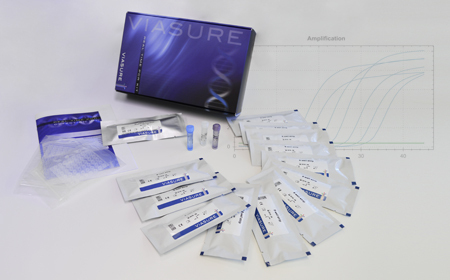 VIASURE BK+JC Virus Real Time PCR Detection Kit is designed for the specific identification and differentiation of BK Virus and/or JC Virus in clinical samples from patients with signs and symptoms of BK and JC virus infection. This test is intended to be used as an aid in the diagnosis of BK Virus and/or JC Virus in combination with clinical and epidemiological risk factors.  DNA is extracted from specimens, multiplied using Real Time amplification and detected using fluorescent reporter dye probes specific for BK Virus and JC Virus. The two most commonly known human polyomaviruses, which are ubiquitous viruses belonging to the Papovaviridae family, are BK and JC viruses. They are non-enveloped, small viruses with a circular double-stranded DNA genome. Most humans acquire it during childhood, usually remaining asymptomatic. However, when reactivated in patients under sustained and intense immunosuppression or immunomodulatory medication, they replicate out of control resulting in the cytolytic destruction of the host cells. BKV is frequently associated with renal system, such as ureteral stenosis in kidney transplant recipients, hemorrhagic cystitis in hematopoietic stem cell transplant recipients and polyomavirus-associated nephropathy. Actually, early diagnosis of BKV has been shown to positively influence the organ survival. JCV is mainly related to progressive multifocal leukoencephalopathy, and it is also possibly implicated in the development of various neoplasms. In conclusion, since BKV/JCV reactivations and infections are crucial in immunosuppressive patients, especially medical centers specialized in bone marrow and renal transplantation, diagnostic and monitoring procedures related to those infections should be programmed. Real Time PCR assays have been shown to be a sensitive and specific diagnosis tool for the detection of BK Virus and JC Virus. BKV can be mainly detected in urine and plasma (blood and serum specimens as well). JC virus can be mostly identified in cerebrospinal fluid (CSF) and plasma (blood), as well as urine (less usual).